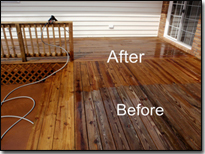 Cleaning and sealing decks and fences is one of the most popular wood restoration and pressure washing projects performed throughout the country every year. Every home owner that has a deck or fence made from treated lumber or even Trex needs to add deck and fence cleaning to their maintenance program in order to make the wood last for many years and to keep it looking great year after year. Not only for your enjoyment but for the increased “curb appeal” and “added value” it can bring to your home or business. 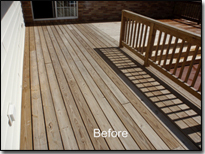 To achieve these kinds of results, it is crucial that the proper deck cleansers be used to clean and treat the wood. It is also important to use the right pressure washing equipment and to select the correct water pressure in order to prevent the wood from being damaged. This is where hiring a professional deck cleaning contractor comes into play. Almost anyone with a desire to work and a good pressure washer can clean a house or rinse a driveway, but when it comes to wood restoration, not everyone has the know-how to clean traditional lumber and especially the more exotic timber used for building decks like cedar, IPE etc. It takes time, patience and lots of skill to restore decks to a better than new appearance that not only looks good, but will stand up to the elements like rain, snow and the sun. So having the job done right the first time is important to the life of the lumber and will determine how appealing the deck will be for the years to come. So if you do not have the experience it takes to perform this type of work, do yourself a favor and contact a professional with a proven track record and referrals from satisfied customers. Our service area includes Carrollton, Smithfield, Suffolk, Chesapeake, Newport News, Hampton, Yorktown and the surrounding communities. If you are a home owner or business owner living within our Virginia service area, you can get a FREE estimate from us at Blast Off Exteriors; a company that provides pressure washing and exterior cleaning services. 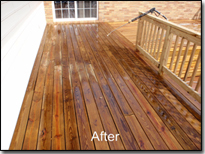 We provide numerous wood restoration and power washing services for decks, roofs, driveways, concrete and more. 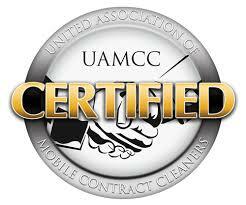 If you live in our Virginia service area, click the following link to request a Free Pressure Washing Estimate!